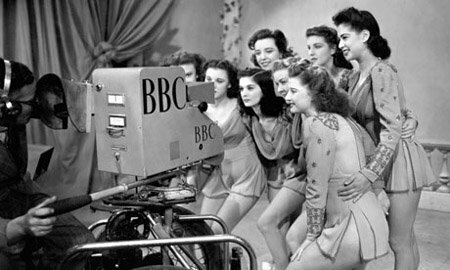 The TV Stars and the men and women behind the scenes from yesteryear. Anthony Ainley was best known to television viewers as The Master, the renegade Time Lord who was Moriarty to Doctor Who's Sherlock. The part had previously been played by Roger Delgado from 1971 until 1973 when his untimely death, from a car crash, meant that the character was written out of the series for a number of years. Ainley first portrayed The Master in the 1981 serial The Keeper of Traken and appeared in almost every season up until the cancellation of the original series in 1989, by which time he had become a cult figure. 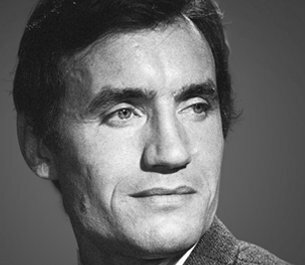 Anthony Ainley was born on 20 August 1932. His father, Henry Ainley, was a distinguished Shakespearean actor famed for his good looks and distinctive voice. Young Anthony got his first taste of acting at a young age, singing in a school production of Gilbert and Sullivan's HMS Pinafore. On leaving school he went to work as an insurance clerk but soon decided to follow in the family footsteps and studied at RADA where he won the Fabia Drake Prize for comedy. After graduating he worked in rep and made his television debut in 1964 as a police officer in It's Dark Outside. His swarthy appearance meant that he was often cast in villainous roles, particularly in horror films. On television he starred in series such as Elizabeth R, Secret Army and The Avengers. But it was his appearance as the Rev Emilius in The Pallisers which led to his role in Doctor Who. "Emilius was a rather smarmy devious character," he recalled. "The producer John Nathan-Turner was working on it and remembered me when he took over Doctor Who. Later he asked me to play The Master. There was a similarity between the two characters. Both wore a superficial air of charm and dignity which concealed a wicked sly nature underneath." He appeared as The Master for nine years opposite three incarnations of The Doctor. Ironically Ainley's family had a number of connections with the series. His father had been Jon Pertwee's godfather and his brother Richard had coached Tom Baker at drama school. He himself had been coached in an amateur production by William Hartnell. After leaving the series Ainley continued to appear on television and spent much of his time attending Doctor Who conventions. Ainley's great love of the role is often cited in documentaries and DVD commentaries. Anthony Ainley passed away on 3 May 2004 aged 71. He never married. He once joked that he didn't like the three rings of marriage: "the engagement ring, the wedding ring and the bickering." Peter Bryant was born in London on 27th October 1923 and began his acting career in rep before landing several small screen roles and then moving into television in 1953 as Edgar in a BBC production of Wuthering Heights. In 1955 he reprised his 'Grove Family' role in what was the first ever spin-off movie from a British television series, It's a Great Day! After The Grove Family Peter starred in the final episode of The English Family Robinson (1957), Iain MacCormick's four-part series on colonial rule; playing alongside Peter Wyngarde as an Indian, while Champion Road (1958) was a serial set in the North and also starred a young Prunella Scales. In 1959 Peter turned to broadcasting as a radio announcer whilst at the same time submitting a number of radio scripts. This led to him becoming an accomplished script editor for the BBC radio drama department of which he eventually became head. In the 1960s he returned to television and began a succesful association with Doctor Who, joining the series with the story "The Faceless Ones" as associate producer under Innes Lloyd, then producing the serial "Tomb of the Cybermen" before becoming script editor for three series during the show's fifth season. He became the series producer again with "The Web of Fear" and continued through Patrick Troughton's penultimate story. He was also influential in casting Jon Pertwee as Troughton's successor. After leaving Doctor Who Peter produced Special Project Air (1969), a Sunday evening series that formed part of BBC1's first week in colour and then produced the successful BBC detective series Paul Temple starring Francis Matthews. Later in his career Peter Bryant became a successful literary agent specialising in children's books. He passed away after a 12 month battle with cancer on May 19th, 2006 aged 82. Born in Covent Garden on July 7th, 1911, a cousin of the actor Clive Dunn, Gretchen Franklin began working as a £2.00 a-week chorus girl in panto and was a Tiller Girl at The London Palladium. Her first West End break came during the war when she landed a part in the first of a series of reviews at the Ambassadors Theatre in 'Sweet and Low.' She made her big screen debut in 1954 in Before I Wake and went on to be one of the most recognisable 'walk on' actresses of the British film industry making one of her short appearances in the Beatles film Help!. On television she appeared as Warren Mitchell's wife Elsie, in the pilot episode of Till Death Us Do Part, but missed her chance to continue the role in the full series because she couldn't obtain her release from a stage role she was playing at the time. Instead, she recommended her friend Dandy Nichols for the part in the series. She also starred in the early evening soap Crossroads in which she played Myrtle Cavendish; the short-lived soap Castle Haven; the sitcom George and Mildred as Mildred's mother Mrs Tremble, and Rising Damp as Rigsby's Aunt Maud. She was also a regular supporting figure on television dramas such as Dixon of Dock Green and Z-Cars. She had bit parts in series such as Danger Man, Follyfoot and Quatermass but was more often seen in comedy. Franklin landed her most celebrated role at the age of 73, in another soap opera, EastEnders. 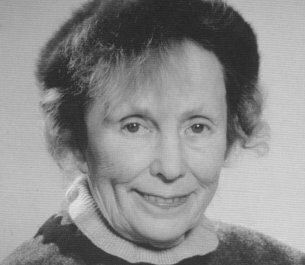 As Ethel Skinner, Franklin was one of the original members of cast for the long-running BBC series and almost formed something of a double-act with June Brown who played the part of Dot Cotton. When EastEnders producer Julia Smith announced that the character of Ethel was to go into an old people's home, Franklin, in her own words "resigned on the spot". "I didn't want Ethel becoming a sad old dear who the others visited occasionally." In one of the series most dramatic and contraversial storylines of the series, Ethel persuades her best friend to administer an overdose of morphine tablets to save her from the pain of dying from cancer. Off screen Franklin devoted much of her time to charity and gave away all the royalties she had recieved from EastEnders repeats to her favourite animal charities. “At my age one isn’t buying new fur coats and diamonds,” she said. “If you get that lot of repeat fees four times a year you can afford to be a bit more generous to other people.” In May 2005 it was confirmed that Gretchen would present the Lifetime Soap Achievement Award to former co-star June Brown at the British Soap Awards but was too ill to attend. It was later given to her other co-star Anna Wing who played Lou Beale, who mentioned her in the speech. Franklin died at her home in Barnes on July 11th, 2005, just four days after her 94th birthday. Her life and work was honoured at the British Academy Television Awards in 2006. In 2007 it was revealed that she had left £872,772 in her will. One third went to charity Help The Aged. 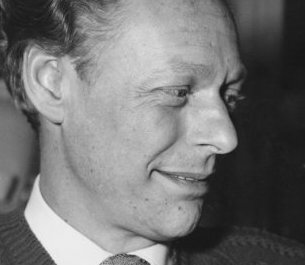 Peter Cadbury was the founder of Westward Television and one of the original campaigners for the introduction of commercial broadcasting. 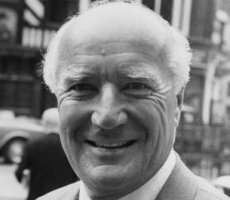 Born on February 6th 1918, the son of Sir Egbert Cadbury, a managing director of Cadbury Brothers, the confectionary empire, Peter was educated at Leighton Park, a Quaker school, and later at Trinity College, Cambridge. He joined the Fleet Air Arm in 1940 and served as an experimental test pilot. The legendary Spitfire pilot Douglas Bader was best man at Cadbury’s first wedding. After the war he joined the Liberal Party but was soon called to the bar and appeared as a junior prosecutor at the Nuremberg trials. Following this, he joined the Keith Prowse Ticket Agency before convincing his father to lend him £75,000 in order to buy the company. This was in 1954. The company went public in 1960. When ITV began to spread around the country, Cadbury took the chairmanship of Tyne-Tees Television and invested heavily in other companies becoming a staunch supporter of commercial television, and making himself heard throughout the country. In 1961 he won the franchise against 11 competing bids and founded Westward Television, based in Plymouth. He remained chairman and director of Keith Prowse, which became a subsidary of Westward TV until the agency was sold in 1970. Cadbury was known as a very confrontational person, frequently rowing with his own board of directors, the press, and even his own neighbours. For many years, Westward was administratively joined to Channel Television in an effort to maximise advertising potential for the two stations. But in 1980 a major boardroom upheavel led to Westward losing its franchise to TSW, which then purchased Westward’s Plymouth studios. In 1996 his house was burgled and he lost £15,000 worth of antiques, and in 1999 another burglary cost him 40 pieces of jewellery. He famously kept a crossbow given to him by a member of the SAS beside his bed and claimed that he would "shoot any intruder without hesitation". In spite of his volatile nature, Cadbury was also chairman of the George Cadbury Trust and directed its funds to his favourite animal charities, in line with his love of pets. He was also a trustee of Winchester Cathedral and, for the last 20 years of his life, of Help the Aged. Married three times, Peter Cadbury died on April 17th, 2006 aged 88.